First time I set foot in a judo dojo I was I think about the most terrified I’d ever been. I was 7 going on 8, and dad took me down to a local club run by a certain Mrs Peach. As if the whole leap, and very bumpy landing, out of my comfort zone wasn’t hard enough to start with, said Mrs Peach transformed my jingling nerves (pits, feelings and stomachs had never quite hit it off to this degree) into some kind of unquantifiable terror the likes of which was to subside only gradually over the coming 11 years. In fact, Sensei Peach was one of the most influential people of my childhood, although I can’t really say why. It had to do with respect. If ever there was anybody who commanded it, and who had natural authority in absolute abundance, Joan was she. The club was well run, popular but instruction was quite strict, on a woe-betide-anybody-who-had-their-own-ideas basis. This should not be taken the wrong way. She was a great judo instructor and I was very disappointed to learn of her retirement and the club’s subsequent closure a few years later. I started very young and in spite of rather shaky confidence I advanced through the grades as fast as the system would allow. This was the only real criticism I had (and retain) of the club, the fastest we could get to black belt from age 7 would be about 13 years, a period including a point at which we had to start again as seniors from white belt. The consequence of this was that we were going off as 16 year olds to adult competitions wearing yellow belts, firstly being asked what happened to our blue belts and secondly beating high graded judoka to the medals. It made no sense. While a top junior in another club who reaches brown belt at age 15 gets the black at 16, in our club the same person would get a white. When I left to go to university I was a green belt, respectable but embarrassing given that I had been in the game by then 12 years. Other newcomers had reached green in 18 months, and were massively inferior (no bragging intended) which shouldn’t surprise you. At the uni club only the black belts could beat me, two of whom were ex-Olympic squad. But at this time I was losing interest, and aged 19 I left the art behind, along with my stories of being wrongly graded and not very good at o-uchi gari. For many years I wanted to pack judo in, but my parents wisely told me to tell Mrs Peach myself, knowing I would never dare. I never even dared think about it, so plodded along every Friday with Bearparks, Barlows and good old Dave Taylor (who I always remember as having a very big solar plexus). Friends came and went, many would not commit to the hard slog of randori and line ups. But one of the more interesting features of my judo career was going from being perennial loser to surprise champion in a matter of months. From age 11 to 15 or 16 dad would drive me all over the West Midlands to see me submit under a feeble hold from some Brummie. I didn’t win a fight for five years, it must have been hugely embarrassing for him, and similarly quite some relief when I finally worked out what to do and started coming away from every championship with a trophy. 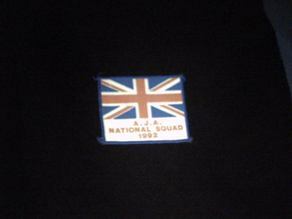 This culminated also in twice winning a place in the national squad, although not the real British national squad. I was in the third string one, and one of their best under 78 kilo men. All this after I’d spent five years throwing myself on the mat and begging to be beaten gently. I went back to the sport a few times. The first time it was no good, the club was well intentioned but full of swooning girls more interested in leering at the male instructor, a situation he milked for all it was worth. After three weeks 90% had dropped out, and I think most of the rest did later on. A few stayed on, I think one of them got quite good. 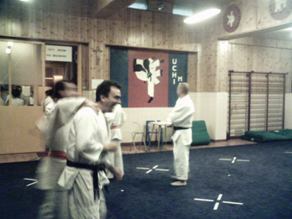 As for me, I packed in again and started aikido instead. I’d rather be an aikido master than a judo master, but although I started well it got too frustrating, and I moved into the pub instead. Aikido is great but takes so so long to get good enough at. Judo as a form of defence is underrated, although I don’t evaluate it in this way, primarily. It came back once again in 2006 when I joined a fantastic little club in Verona, getting my blue belt and discovering a hidden talent for, well, rough judo. I didn’t actually get any in, but my Trojan style of fighting did admittedly need to be calmed a little so as to fit the style of the club. I don’t know how such a gentle style trains champions but that is only my opinion, and after all, there were some very good judoka there, one of whom I still look out for if I tune into an international competition. Judo on TV never does the sport justice. What the TV companies don’t seem to realise is that finals are never the best fights as the competitors who reach them tend to be equally matched. The early rounds can have some explosive judo, and some of the techniques to the trained eye are stunning. I find Georgians very powerful judoka, probably the best on Earth all things being equal, but the best place on Earth to go for judo, apart from Verona, is almost certainly still Japan. 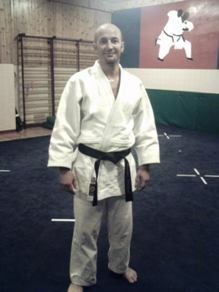 One of my ambitions in life is still my black belt. Funnily though, these days, going to Japan is not.